Looking at the 2015 Florida Derby Odds and Contenders with Casey: The Florida Derby has been a prep race for multiple Kentucky Derby contenders and winners. In 2013, Kentucky Derby winner Orb used the Florida Derby as his final race before earning his roses on the first Saturday in May. Horses such as Alydar, Unbridled, and Northern Dancer have won the Florida Derby before moving on to make history. In the case of Alydar, he made history for another reason in being the only horse to finish second in all three Triple Crown races. The Florida Derby is run annually at Gulfstream Park on the main dirt track. The distance of the race is 9 furlongs, or 1-1/8 miles. This year’s edition of the race offers one horse 100 points to guarantee them a spot in the Kentucky Derby starting gate while the following three finishers receive 40, 20, and 10 points. The morning-line favorite will likely be Upstart, the second-place finisher of the Fountain of Youth by disqualification. Ami’s Flatter (Flatter – Galloping Ami, by Victory Gallop) – Trained by Josie Carroll, this colt only has one off-the-board finish in four starts. He was second in both the Mucho Macho Man Stakes behind Bluegrass Singer and the Tampa Bay Derby behind Carpe Diem. This colt is bred to go the distance and should likely improve with added ground. Jack Tripp (Flatter – Vindicated Angel, by Vindication) This colt broke his maiden at Keeneland, but since then he hasn’t duplicated that same winning effort. His pedigree is nice for the asked distance, but he seems to be either slow-maturing or a cut below. He is not likely to be a threat to the more recognized horses in this field. Indianaughty (Indian Charlie – Be Fair, by Exchange Rate) – Now trained by Dale Romans for Team Valor (owners of Animal Kingdom), this three-year-old started his career overseas before coming here to win his debut. His last race was not so impressive – he finished ninth in the El Camino Real Derby at Golden Gate. He should be able to get the distance, but what I am not sure of is his propensity for the dirt surface. He has two wins over the turf and an off-the-board finish on synthetic. Can he switch to dirt and take on top quality competition? Itsaknockout (Lemon Drop Kid – Stormy B, by Cherokee Run) – Itsaknockout was declared to be the winner of the Fountain of Youth after Upstart was disqualified. Itsaknockout is technically undefeated and has a decent foundation for this race. Pletcher knows what he has here, and while his pedigree is borderline 10 furlongs due to the sprint-oriented bottom half on his pedigree, Lemon Drop Kid should balance that out and be able to make this colt a top contender, both here and on Derby day. Quimet (Birdstone – Comanche Star, by Saint Ballado) – With only a maiden score to his credit, this gelding seems to be a step below the rest of the field. He had to drop to maiden claiming to gather his first win. 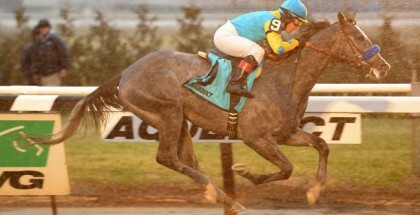 He did finish third in the Islamorada Handicap, which was won by Materiality. This colt may be able to mess up a trifecta or superfecta, but he is probably a cut below the rest of the field and outclassed here. My Point Exactly (Concorde Point – My Golden Quest, by Coronado’s Quest) – This gelding, owned by a partnership that includes Pinnacle Racing, is coming into this race off of a win in the Sunday Silence Stakes at Louisiana Downs, which was on the turf. However, he did break his maiden at Gulfstream on the dirt going a mile. If he can get the distance, he may be able to contend with this field. Materiality (Afleet Alex – Wildwood Flower, by Langfuhr) – This colt is another trained by Todd Pletcher and is also undefeated in two starts. 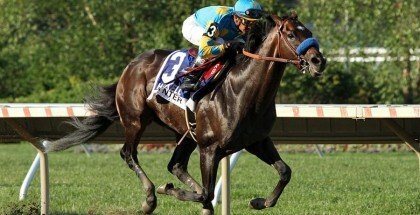 This colt has to win or finish second to make the Kentucky Derby. He is bred for distance on any surface, but so far, dirt is his surface. 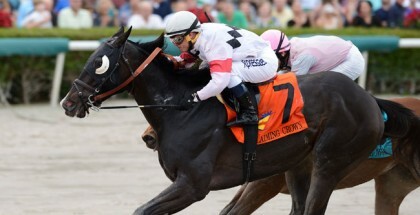 He is the newcomer to the Triple Crown contenders who could really give the top ones a run for their money. Dekabrist (Street Boss – Shutterbug, by Deputy Minister) – This colt flashed brilliance in his first two starts when he won his maiden debut and then the Kodiak Island Stakes at Gulfstream. Since then, the son of Street Boss hasn’t hit the board. Look for him to bring up the rear unless he has a Mine That Bird moment and wins a race people never thought he could. Upstart (Flatter – Party Silks, by Touch Gold) – This colt is more mature physically than more than half of his crop and runs like he’s more mentally mature. He was first in the Fountain of Youth until his disqualification to second. He was bound to regress a bit after a huge effort in the Holy Bull, but now this colt can pull in another win before peaking on the first Saturday in May for trainer Rick Violette. Some say his pedigree isn’t one that screams 10 furlongs, but I, personally, think otherwise. Casey’s Opinions: This is a tough prep to figure out. This is likely the last time we’ll see these horses run until May, but there are two undefeated colts in here, and one, or both, will exit with a newly blemished record. 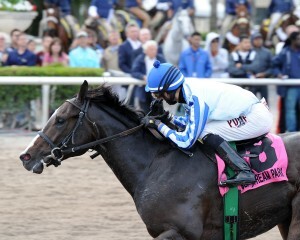 Upstart is the horse to beat and already has enough points for the Derby, but he should be able to pull off a win. Materiality has a pedigree that I personally enjoy, and I believe that he can stay undefeated with a good trip. Ami’s Flatter is an interesting horse to look at, and he has the pedigree to get the distances that will be asked of him in the next month.